Posted by Dave Emory ⋅ February 4, 2014Post a comment Email This Post Print This Post Tweet This! CORRECTION: On Side 1, Mort Sahl’s autobiography is mistakenly referred to as “Homeland.” The correct title is Heartland. Introduction: In this program, we explore “L’Affaire Snowden” as a step toward bringing about the end of The New Deal, in effect fulfilling the 1934 coup attempt against Franklin Delano Roosevelt. We also underscore the seditious, neo-secessionist nature of the forces embodied in Eddie the Friendly Spook. Excerpt­ing some of Snowden’s 2009 online musings–crafted dur­ing the same time period in which he decided to leak NSA documents–gives us insight into his true nature. We’ve men­tioned Snowden’s embrace of the gold stan­dard, belief that we should elim­i­nate Social Secu­rity and deep affin­ity for Ron Paul. Per­haps exam­in­ing his actual pro­nounce­ments will prove educational. Snow­den is a nasty lit­tle fas­cist and peo­ple should care­fully con­sider the rest of his behav­ior in the con­text of his ide­o­log­i­cal pronouncements. We have dis­cussed Cit­i­zen Greenwald’s legal work, in which he spent years run­ning legal inter­fer­ence for Nazi mur­der­ers and doing most of the work pro bono. One of his legal vic­to­ries involved aid­ing two white suprema­cists who had attacked two Latino day laborers. In the past, Cit­i­zen Green­wald has had some deeply inflam­ma­tory things to say in the past con­cern­ing “ille­gal immi­grants.” We won­der if his stated views on the evils of ille­gal immi­gra­tion might be related to his work defend­ing the attack­ers of the day laborers. In his intem­per­ate remarks about immi­grants (which he later uncon­vinc­ingly recanted), Green­wald also defended for­mer Col­orado con­gress­man Tom Tan­credo, a fel­low trav­eler of some noto­ri­ous white supremacists. Tancredo’s asso­ciates include Don Black, David Duke asso­ciate and cre­ator of the Storm­front web­site. Black is among the numer­ous white suprema­cist and Nazi asso­ciates of Edward Snowden’s Pres­i­den­tial can­di­date of choice, Ron Paul. Tancredo’s fel­low trav­el­ers also include mem­bers of the neo-Confederate move­ment and the League of the South, also net­work­ing ele­ments of Ron Paul. Following discussion of Tancredo, we examine more of the same neo-Confederate, neo-secessionist elements that are part and parcel to the Snowden milieu. A very impor­tant story high­lights what we feel is a major thrust of the psy-op for which Edward Snow­den–the Peach Fuzz Fas­cist–is fronting. A right-wing lib­er­tar­ian polit­i­cal milieu is work­ing to have states cut-off elec­tric­ity to the NSA, this in response to the Snow­den disclosures. Not sur­pris­ingly, the Tenth Amend­ment Cen­ter heav­ily over­laps ele­ments asso­ci­ated with the League of the South and the neo-Confederate move­ment. Those ele­ments, in turn, are inex­tri­ca­bly linked with the Lud­wig von Mises Insti­tute, the“Paulis­tin­ian Lib­er­tar­ian Orga­ni­za­tion” and The Peach Fuzz Fas­cist him­self [Snow­den]. As noted above, Cit­i­zen Green­wald has defended birds of the same feather. We also discuss Snowden’s allegations of NSA spying on Siemens, itself deeply connected to German intelligence, as well as Snowden’s attack on the Five Eyes alliance, to which Angela Merkel is seeking admission. Program Highlights Include: Tom Tancredo’s links to the Tea Party; Citizen Greenwald’s positive outlook on Ron Paul; WikiLeaks’ journalist James Ball’s assistance to the cementing of the Snowden/Greenwald/Poitras connection; Ball’s break with WikiLeaks over Julian Assange’s association with Joran Jermas; Jermas’ son Johannes Wahlstrom’s role as a defense witness for Julian Assange; WikiLeaks’ possible role in moving Snowden from Hawaii to Hong Kong; further indications that Assange may have belonged to the Santikitenan Park Association (also known as “The Family”), an intelligence-connected, fascist mind-control cult; Snowden’s assertion that BND (German intelligence) has access to the NSA’s X Key Score database; Siemens’ development of the control systems attacked by the Stuxnet worm. 1a. Excerpt­ing some of Snowden’s 2009 online musings–crafted dur­ing the same time period in which he decided to leak NSA documents–gives us insight into his true nature. We’ve men­tioned Snowden’s embrace of the gold stan­dard, belief that we should elim­i­nate Social Secu­rity and deep affin­ity for Ron Paul. Per­haps exam­in­ing his actual pro­nounce­ments will prove educational. Yeah, if ONLY those 75 and 80-year-olds lying in hos­pi­tal beds would get up and find jobs like every­body else, right Eddie? Snow­den is a nasty lit­tle fas­cist and peo­ple should care­fully con­sider the rest of his behav­ior in the con­text of his ide­o­log­i­cal pronouncements. “Would You Feel Dif­fer­ently About Snow­den, Green­wald, and Assange If You Knew What They Really Thought?” by Sean Wilentz; The New Repub­lic; 1/19/2014. 1b. Citizen Greenwald has also given qualified political support to Ron Paul. The “Paulistinian Libertarian Organization” is at the foundation of the Snowden milieu and operation. . . . . Greenwald had identified a vehicle for a political realignment: the presidential candidacy of the old libertarian warhorse Ron Paul. In November 2007, Greenwald called Paul “as vigilant a defender of America’s constitutional freedoms … as any national figure in some time.” . . . . Still, he believed Paul to be a rare truth-teller, prepared to buck a corrupt bipartisan consensus. This portrayal required highly selective political reasoning, not to mention a basic ignorance of U.S. history. Paul, a longtime supporter of the John Birch Society, is a quintessential paleoconservative, holding prejudices and instincts that predate the post–World War II conservative movement founded by William F. Buckley Jr. and others. Paleoconservatives, in their hatred of centralized government and consequent isolationism, regard U.S. history as a long series of catastrophes, starting with the defeat of the Confederacy. . . .
2a. We have dis­cussed Cit­i­zen Greenwald’s legal work, in which he spent years run­ning legal inter­fer­ence for Nazi mur­der­ers and doing most of the work pro bono. One of his legal vic­to­ries involved aid­ing two white suprema­cists who had attacked two Latino day laborers. . . . . Greenwald’s other clients included the neo-Nazi National Alliance, who were impli­cated in an espe­cially hor­ri­ble crime. Two white suprema­cists on Long Island had picked up a pair of unsus­pect­ing Mex­i­can day labor­ers, lured them into an aban­doned ware­house, and then clubbed them with a crow­bar and stabbed them repeat­edly. The day labor­ers man­aged to escape, and when they recov­ered from their injuries, they sued the National Alliance and other hate groups, alleg­ing that they had inspired the attackers. . . .
. . . . On cer­tain issues, though, his [Greenwald’s] prose was suf­fused with right-wing con­ceits and catch­phrases. One exam­ple was immi­gra­tion, on which Green­wald then held sur­pris­ingly hard-line views. “The parade of evils caused by ille­gal immi­gra­tion is widely known,” Green­wald wrote in 2005. The facts, to him, were indis­putable: “ille­gal immi­gra­tion wreaks havoc eco­nom­i­cally, socially, and cul­tur­ally; makes a mock­ery of the rule of law; and is dis­grace­ful just on basic fair­ness grounds alone.” Defend­ing the nativist con­gress­man Tom Tan­credo from charges of racism, Green­wald wrote of “unman­age­ably end­less hordes of peo­ple [who] pour over the bor­der in num­bers far too large to assim­i­late, and who con­se­quently have no need, moti­va­tion or abil­ity to assim­i­late.” Those hordes, Green­wald wrote, posed a threat to “middle-class sub­ur­ban vot­ers.” . . . .
2b. In his intem­per­ate remarks about immi­grants (which he later uncon­vinc­ingly recanted), Greenwald also defended for­mer Col­orado con­gress­man Tom Tan­credo, a fel­low trav­eler of some noto­ri­ous white supremacists. “For­mer Con­gress­man Tan­credo to Address White Suprema­cists” by Ryan Lenz; Hate Watch [South­ern Poverty Law Cen­ter]; 6/19/2012. Shar­ing the dais with Tan­credo will be a rogue’s gallery of the racist right, includ­ing James Edwards, who hosts the white nation­al­ist Polit­i­cal Cesspool radio show; Don Black, the for­mer Klans­man best known for cre­at­ing Stormfront.org, the first major Inter­net hate site; and Leonard Wil­son, a long­time seg­re­ga­tion­ist and Alabama com­man­der for the Sons of Con­fed­er­ate Vet­er­ans, a neo-Confederate group that, like Tan­credo, staunchly opposes immigration. For those who have watched Tan­credo go through end­less con­tor­tions to dis­tance him­self from his racist friends, speak­ing at a CCC con­fer­ence seems to be a turn­ing point. The time has passed to apol­o­gize for the com­pany he keeps. And what com­pany it is. Tan­credo was already hon­orary chair­man of Youth for West­ern Civ­i­liza­tion (YWC), an ultra­con­ser­v­a­tive stu­dent group that has actively cul­ti­vated rela­tion­ships with white nation­al­ist orga­ni­za­tions such as the racist League of the South (LOS), whose leader Michael Hill recently penned an essay describ­ing how white peo­ple are endowed with a “God-ordained supe­ri­or­ity” and pro­fess­ing that it was a “mon­u­men­tal lie” that all men are cre­ated equal. In 2006, Tan­credo deliv­ered an anti-immigrant speech and sang “Dixie” at a bar­be­cue adver­tised by the South Car­olina chap­ter of the LOS. . . . .
2c. Tancredo is also an asso­ciate of the Tea Party. “Tan­credo Kicks Off Tea Party Con­ven­tion with Racist Com­ments” by Imag­ine 2050 Edi­tors; Imag­ine 2050; 2/5/2010. . . . . Tan­credo stood smil­ing at the crowd and wav­ing before start­ing off his speech with “I’m Tom Tan­credo and I drive a Harley!” He quickly moved on from the topic of motor­cy­cles, how­ever, to get to his main tar­get: immigrants. He issued a warn­ing to the crowd that “our cul­ture is at stake” and that our cul­ture “is based on Judeo-Christian val­ues whether peo­ple like it or not!” Near the end of his speech Tan­credo announced to the crowd that he was going to be work­ing with Roy Beck, exec­u­tive direc­tor of Num­ber­sUSA (an anti-immigrant group with strong ties to white nation­al­ists) at their break­out ses­sion on Fri­day. He encour­aged peo­ple to attend the ses­sion and thanked Roy Beck and Num­ber­sUSA for all their good work. . . .
3a. A very impor­tant story high­lights what we feel is a major thrust of the psy-op for which Edward Snow­den–the Peach Fuzz Fas­cist–is fronting. A right-wing lib­er­tar­ian polit­i­cal milieu is work­ing to have states cut-off elec­tric­ity to the NSA, this in response to the Snow­den disclosures. “Beware Of Lib­er­tar­i­ans Bear­ing Gifts: Why A Bipar­ti­san Move Against The NSA Could Kill The New Deal” by Zack Beauchamp and Ian Mill­hiser; Think Progress; 1/24/2014. . . . . What does the NSA need if it wants to spy on you? Even before legal per­mis­sion, there’s the basics: elec­tric­ity to run its com­put­ers and water to feed the servers that stores the reams of data they acquire. Enter­pris­ing state leg­is­la­tors in six states have seized upon this almost-too-obvious insight, and used it to draft leg­is­la­tion that would quite lit­er­ally turn off the NSA’s lights in their states. This might seem like a good idea to NSA crit­ics unhappy with Pres­i­dent Obama’s reform pro­pos­als, but the con­sti­tu­tional the­ory it depends on is pro­foundly dan­ger­ous. It poses a seri­ous threat to that lib­eral touch­stone, a fed­eral reg­u­la­tory and wel­fare state equal to the prob­lems of grow­ing cor­po­rate power and poverty. Ulti­mately, this pro­posal to depower the NSA reveals that there’s only so much that can be accom­plished by right-left coali­tions. Unless each side can agree to aban­don tac­tics that threaten the other’s sacred cows, the mem­bers of these coali­tions must con­stantly be on guard against the man stand­ing behind them wait­ing to stick a knife in their back. Each of the six states (Kansas, Indi­ana, Mis­souri, Wash­ing­ton, Okla­homa, and Cal­i­for­nia) base their pro­pos­als on model leg­is­la­tion devel­oped by the OffNow coali­tion, a group orga­nized by the rad­i­cally lib­er­tar­ian Tenth Amend­ment Cen­ter. So too will leg­is­la­tors in the next three states (Michi­gan, Ari­zona, and Utah) that plan to pro­pose lights-off leg­is­la­tion. So OffNow, and by exten­sion the Tenth Amend­ment cen­ter, is more-or-less run­ning the show here. Provid[ing] ser­vices, or participat[ing] or assist[ing] in any way with the pro­vid­ing of ser­vices to a fed­eral agency, fed­eral agent, or cor­po­ra­tion pro­vid­ing ser­vices to the fed­eral gov­ern­ment which is involved in the col­lec­tion of elec­tronic data or meta­data of any person(s) pur­suant to any action not based on a war­rant that par­tic­u­larly describes the person(s), place(s) and thing(s) to be searched or seized. Else­where, the leg­is­la­tion pro­vides that any cor­po­ra­tion “that pro­vides ser­vices to or on behalf of this state” which vio­lates this pro­hi­bi­tion “shall be for­ever inel­i­gi­ble to act on behalf of, or pro­vide ser­vices to, this state or any polit­i­cal sub­di­vi­sion of this state.” So if a state’s util­i­ties — elec­tric­ity, water, sewage and so forth — are owned by the state, they are for­bid­den from pro­vid­ing any ser­vice to the NSA. And if a state’s util­i­ties are pri­vately owned, they must choose between cut­ting off ser­vice to the NSA or per­ma­nently los­ing their abil­ity to do busi­ness with the state. In most states, this would be largely sym­bolic: the NSA doesn’t have instal­la­tions every­where. But bothWash­ing­ton and Utah house sig­nif­i­cant NSA facil­i­ties, and it would actu­ally be quite painful for the agency to move them. The bill is rooted in a the­ory that, in James Madison’s words, would “speed­ily put an end to the Union itself.” More imme­di­ately, it could empower con­ser­v­a­tive state law­mak­ers to cut off Medicare, Med­ic­aid or Social Secu­rity, to frus­trate civil rights enforce­ment or even to pre­vent fed­eral law enforce­ment from inves­ti­gat­ing criminals. The Tenth Amend­ment Cen­ter is one of the lead­ing pro­po­nents of “nul­li­fi­ca­tion,” an uncon­sti­tu­tional the­ory which claims that states can uni­lat­er­ally inval­i­date fed­eral laws sim­ply by pass­ing their own law claim­ing that the fed­eral pro­vi­sion is invalid. Yet their pro­posal to cut of water and power to the NSA rests on a slightly dif­fer­ent con­sti­tu­tional the­ory than pure nul­li­fi­ca­tion. Under some­thing known as the “anti-commandeering doc­trine,” the Supreme Court gen­er­ally does not per­mit the fed­eral gov­ern­ment to com­mand a state to take a par­tic­u­lar action. Thus, for exam­ple, if the fed­eral gov­ern­ment wants to crim­i­nal­ize mar­i­juana, then it can order fed­eral agents to arrest mar­i­juana users, or it can encour­age states to pros­e­cute mar­i­juana users by offer­ing them fed­eral funds if they do so, but it can­not sim­ply order a state to pros­e­cute some­one the state does not wish to pros­e­cute. Wash­ing­ton and Col­orado get to have their own drug laws and their police force is under no oblig­a­tion to enforce federal law. Apply this rule to the NSA, and it fol­lows that the fed­eral gov­ern­ment can­not force a state to have its own domes­tic spy­ing pro­gram, or to loan its own agents to the NSA. If the fed­eral gov­ern­ment wants to engage in sur­veil­lance, it must use its own money and its own offi­cers to do so unless a state vol­un­tar­ily agrees to pro­vide assistance. But what if a state orders its state-owned power com­pany to deny elec­tric­ity to the NSA? Or if the state refuses to con­tract with any com­pany that also pro­vides basic ser­vices to the fed­eral gov­ern­ment? On the sur­face, these deci­sions seem to be cov­ered by the anti-commandeering doc­trine as well. Why should the fed­eral gov­ern­ment be allowed to direct the state’s busi­ness rela­tions any more than it directs its police force? This tac­tic, of using state power to pre­vent the fed­eral gov­ern­ment from oper­at­ing, should trou­ble pro­gres­sives regard­less of how they feel about the NSA’s sur­veil­lance pro­gram. If Utah can cut of water or elec­tric­ity to the NSA, what’s to pre­vent Texas from cut­ting off power to fed­eral agen­cies that pro­vide health care to poor peo­ple, or North Car­olina from turn­ing the lights off on fed­eral vot­ing rights attor­neys chal­leng­ing theircom­pre­hen­sive voter sup­pres­sion law? Don’t doubt for a minute that, if the Tenth Amend­ment Cen­ter suc­ceeds in estab­lish­ing a prece­dent for nullification-via-power-outages, they will imme­di­ately deploy this and sim­i­lar tac­tics to imple­ment other parts of their sweep­ing lib­er­tar­ian agency. Some of their other ini­tia­tives include bills pur­port­ing to nul­lify fed­eral gun laws and the Afford­able Care Act, as well as a truly sur­real pro­posal to under­mine the Fed­eral Reserve by requir­ing cit­i­zens to pay their state taxes in gold or sil­ver. The Tenth Amend­ment Cen­ter, in other words, is not sim­ply dis­trust­ful of cen­tral­ized power. They fear the fed­eral gov­ern­ment with such patho­log­i­cal inten­sity that they’ve actu­ally sug­gested dis­solv­ing the Union in its entirety if Con­gress, the Pres­i­dent or the fed­eral judi­ciary takes any action that vio­lates their idio­syn­cratic view of the Con­sti­tu­tion. Their posi­tion on states’ rights makes John C. Cal­houn look like a moderate. So how­ever attrac­tive rein­ing in the NSA this way might seem, it’s a Tro­jan Horse: a legal strat­egy that has the poten­tial to bring down the major fed­eral accom­plish­ments lib­er­als most deeply cher­ish. Good thing the depower bills are unlikely to pass in any state. Regard­less, how­ever, this inci­dent tells us some­thing impor­tant about the var­i­ous pro­pos­als for a left-libertarian alliance to rein the secu­rity state you see bandied about. Real­is­ti­cally, that’s the alliance you’d need you take seri­ous, nation­wide action on spy­ing out­side of the exec­u­tive branch; see the vote count on Rep. Justin Amash (R-MI)’s just-barely defeated bill to end NSA meta­data col­lec­tion. It’s the same coali­tion that could help accom­plish wor­thy goals like reform­ing fed­eral drug laws or racist prison sen­tenc­ing guidelines. On issues like those — where the pol­icy fix is legally sim­ple, and the goals are fully shared — the left-libertarian alliance has the poten­tial to do a lot of good. But the state-level drive to turn off the NSA’s lights demon­strates the lim­its of this mar­riage. Law­mak­ing nec­es­sar­ily sets prece­dents. In some cases, those prece­dents come from the judi­ciary — giv­ing offi­cial sanc­tion to tac­tics once acknowl­edged to be uncon­sti­tu­tional. But the mere act of enact­ing a law and get­ting away with it can nor­mal­ize rad­i­cal tac­tics as well. Hid­den pro­vi­sions of a law or the legal the­ory behind it can change the coun­try as surely as the legislation’s intended end. . . .
3b. Not sur­pris­ingly, the Tenth Amend­ment Cen­ter heav­ily over­laps ele­ments asso­ci­ated with the League of the South and the neo-Confederate move­ment. Those ele­ments, in turn, are inex­tri­ca­bly linked with the Lud­wig von Mises Insti­tute, the“Paulis­tin­ian Lib­er­tar­ian Orga­ni­za­tion” and The Peach Fuzz Fas­cist him­self [Snow­den]. As noted above, Cit­i­zen Green­wald has defended birds of the same feather. “‘Nul­li­fi­ca­tion’ Con­fer­ence Attracts Far-Right Extrem­ists” by Hate­watch Staff; Hate Watch [South­ern Poverty Law Cen­ter]; 10/24/2011. On the eve of a Nul­li­fi­ca­tion Now! con­fer­ence in Jack­sonville, Fla., last week, the Tenth Amend­ment Cen­ter issued a warn­ing: The South­ern Poverty Law Cen­ter was send­ing some­one to report that “those of us who want polit­i­cal decen­tral­iza­tion as the Con­sti­tu­tion requires [are] ‘dan­ger­ous.’” Then, when the con­fer­ence began, every speaker repeated the warn­ing. Some­one from the SPLC was there, they said. And you know what? We were. We were there when Oath Keep­ers founder Stew­art Rhodes warned that the fed­eral gov­ern­ment was lay­ing the ground­work to freely kill Amer­i­can cit­i­zens. We were there when John Bush, who runs the Foun­da­tion for a Free Soci­ety in Austin, Texas, stoked the audience’s already inflamed fears that a one-world gov­ern­ment was com­ing in the form of a U.N. plan for sus­tain­able growth. We were there when Doug Tjaden, direc­tor of the Sound Money Cen­ter, called for the nul­li­fi­ca­tion of the Fed­eral Reserve. “Nul­li­fi­ca­tion of any fed­eral law will only have long last­ing effect if we take away the bankers’ abil­ity to buy back our lib­erty,” he said with a thump of his fist on the podium. Roughly 100 peo­ple attended the con­fer­ence orga­nized by the Los Angeles-based Tenth Amend­ment Cen­ter, a group focused on how to weaken the reach of the fed­eral gov­ern­ment through nul­li­fi­ca­tion. Their cen­tral idea—that each state has the con­sti­tu­tional right to inval­i­date and dis­re­gard vir­tu­ally any fed­eral law—relies on a spu­ri­ous inter­pre­ta­tion of the Tenth Amend­ment, which reserves to the states and the peo­ple any power not explic­itly given to the fed­eral gov­ern­ment, and flies in the face of more than two cen­turies of jurisprudence. Much of the con­fer­ence seemed to be focused on dis­tanc­ing the move­ment from those mem­bers of the extreme right that tend to be the most attracted to the nul­li­fi­ca­tion con­cept. That’s hard to do when the League of the South (LOS) has a table at the event, which it did. It was attended by Michael Tubbs, a for­mer Green Beret demo­li­tions expert who, in 1987, robbed two fel­low sol­diers of their M-16 rifles dur­ing a rou­tine exer­cise at Fort Bragg, N.C., in the name of the Ku Klux Klan. Tubbs is pres­i­dent of the Florida chap­ter of the LOS, which envi­sions a sec­ond South­ern seces­sion and holds to a dis­tinctly white suprema­cist ideology. There were also rep­re­sen­ta­tives from groups advo­cat­ing for the legal­iza­tion of raw milk—to limit the government’s reg­u­la­tory power to ensure food safety—and for the Oath Keep­ers, a group that ped­dles antigov­ern­ment “Patriot” para­noia about fed­eral tyranny. The force behind much of that para­noia is Rhodes, a for­mer Army para­trooper and Yale-educated lawyer who founded Oath Keep­ers. Rhodes cau­tioned that the recent killing of Anwar al-Awlaki, a rad­i­cal, U.S.-born Mus­lim cleric who had been des­ig­nated by the U.S. gov­ern­ment as a global ter­ror­ist, was merely a pre­view of what will even­tu­ally befall Amer­i­cans cit­i­zens at home. Assas­si­na­tion? Kid­nap­ping? Intern­ment? All will be pos­si­ble in the tyran­ni­cal future the far right fears is unavoid­able. “I’m not being para­noid. I’m just con­nect­ing the dots,” Rhodes said. “It will be done at home. Mark my words.” . . . .
. . . . The high­light of the day was Thomas E. Woods Jr., the author of Nul­li­fi­ca­tion: How to Resist Fed­eral Tyranny in the 21st Cen­tury. He argued that nul­li­fi­ca­tion was the prin­ci­ple tool of the north­ern abo­li­tion­ists who com­bated slavery—a fact, he said, the pro­gres­sive left con­ve­niently dismisses. Woods couldn’t avoid call­ing out the SPLC “agent provo­ca­teur” in the audi­ence. To do so, he some­what mock­ingly employed Godwin’s Law to dis­miss any crit­i­cism of nul­li­fi­ca­tion. Godwin’s Law states, essen­tially, that as any dis­cus­sion pro­gresses, the odds increase that some­one will even­tu­ally invoke Hitler. Woods warned that the SPLC and oth­ers would seek to mar­gin­al­ize nul­li­fi­ca­tion by cre­at­ing neg­a­tive associations. Woods was once a mem­ber of the LOS and remains a senior fel­low at the Lud­wig Von Mises Insti­tute, a con­ser­v­a­tive think tank in Auburn, Ala., that views social jus­tice as destruc­tive. Who needs Hitler when para­noid antigov­ern­ment fig­ures, hair-trigger Aryan mil­i­tants and an aca­d­e­mic extrem­ist are there to glad-hand the audience? 3c. Fur­ther­ing their goal of desta­bi­liz­ing the Obama admin­is­tra­tion, the GOP plans on hold­ing hear­ings on the NSA in order to gen­er­ate polit­i­cal capital. “The New, Snowden-Loving Repub­li­can Party” by David Weigel; Slate; 1/24/2014. Benjy Sar­lin has a nice read on the other news emerg­ing from the RNC meet­ing. Sup­port­ers of Ron Paul, chiefly Nevada’s Diana Orrock, were able to sell the whole com­mit­tee on a res­o­lu­tion “renounc­ing” the NSA’s data col­lec­tion pro­grams. As of today, the RNC “encour­ages Repub­li­can law mak­ers to call for a spe­cial com­mit­tee to inves­ti­gate, report, and reveal to the pub­lic the extent of this domes­tic spy­ing” and “calls upon Repub­li­can law­mak­ers to imme­di­ately take action to halt cur­rent uncon­sti­tu­tional sur­veil­lance pro­grams and pro­vide a full pub­lic account­ing of the NSA’s data col­lec­tion pro­grams.” It basi­cally endorses Rep. Justin Amash’s leg­is­la­tion in the House. Andrew Kaczyn­ski com­mem­o­rates the occa­sion with a flash­back to the August 2006 RNC attack on the “lib­eral judge” who ruled against another NSA pro­gram, and was “praised by Dems.” Not long after that, one of the party’s endan­gered mod­er­ates, Con­necti­cut Rep. Nancy John­son, attacked her Demo­c­ra­tic oppo­nent for dar­ing to oppose the program. So it’s taken seven-odd years for the GOP to come fully around and real­ize the groovy pol­i­tics of civil lib­er­ties, but that should have been obvi­ous even before Snowden. 3d. In FTR #762, we examined the Snowden actions as a destabilization operation against the Obama administration. Going into his State of the Union address, that effort appears to have drawn a considerable amount of political blood. “Obama’s Puzzle: Economy Rarely Better, Approval Rarely Worse” by Jackie Calmes; The New York Times; 1/27/2014. President Obama will pronounce on the state of the union for the fifth time on Tuesday, and never during his time in office has the state of the economy been better — yet rarely has he gotten such low marks from the public for his handling of it. . . .
Mr. Obama and his speechwriter could not phrase it better, or simpler. Yet taking credit is complicated, given the clear evidence in national polls that most Americans are not in a mood to give him any. Mr. Obama’s ratings for his handling of the economy, never high since his first months in office, slipped throughout 2013 in national polls. As he began this year, nearly six in 10 Americans disapproved, nearly matching his lowest marks in 2011, a year of repeated and damaging fiscal fights with the new Republican House majority. Advisers said the decline was a reflection of Mr. Obama’s diminished standing more broadly after months of public attention to issues that have dominated news coverage: the administration’s bungled introduction of the website for the insurance marketplaces created by his signature Affordable Care Act, and the controversy over intelligence gathering by the National Security Agency. “For the average person sitting at home watching news on TV and the Internet, they have seen their president spend the last six months or so dealing with N.S.A., a government shutdown and a malfunctioning website,” said Mr. Obama’s chief strategist, Dan Pfeiffer. . . .
4a. In a video appearance by Assange at a Chaos Computer Club conference in early January of this year, a question about WikiLeaks’ role in getting Snowden out of the U.S. enhances suspicion that WikiLeaks may have been involved with Snowden’s journey to Hong Kong. Given the Snow­den time­line and the role Har­ri­son and Wik­iLeaks have played since Snowden’s time in Hong Kong, choosing to have Assange field that question was an odd choice for Har­ri­son because there’s never been any indi­ca­tion that Snow­den required any help to leave Hawaii. Applebaum had a birthday party in Hawaii with 20 friends and returned in April of 2013, shortly before Eddie the Friendly Spook takes off for China. “Julian Assange Gave A Very Pecu­liar Response When He Was Asked About ‘Get­ting Snow­den Out Of The US’” by Michael Kel­ley; Busi­ness Insider; 1/4/2014. A strange exchange occurred when mem­bers of the rene­gade pub­lish­ing orga­ni­za­tion Wik­iLeaks were asked about the flight of Edward Snow­den at a Chaos Com­puter Club con­fer­ence last week. Wik­iLeaks has been cred­ited with help­ing Snow­den escape extra­di­tion to the U.S. after the 30-year-old left Hawaii with at least hun­dreds of thou­sands of clas­si­fied NSA files and flew to Hong Kong on May 20. That is a very pecu­liar (and seem­ingly nat­ural) col­lec­tive response. Most peo­ple have not con­sid­ered that Wik­iLeaks may have become involved with Snow­den before June 12, when the for­mer CIA tech­ni­cian con­tacted the orga­ni­za­tion after out­ing himself. So the “loaded” ques­tion could have eas­ily been pointed out as unsound, and Assange could have denied that Wik­iLeaks con­tacted Snow­den before he reached out from China. Instead, the 42-year-old Aus­tralian ques­tioned whether it could be answered at all. . . .
4b. We have dealt at great length with the extensive degree of overlap between Snowden’s “op” and the WikiLeaks milieu. The genesis of the Greenwald/Poitras/Snowden relationship featured a WikiLeaks-connected journalist named James Ball. “How Edward Snow­den Led Jour­nal­ist and Film-Maker to Reveal NSA Secrets” by Roy Greenslade; The Guardian; 8/19/2013. . . . . And two weeks after that she flew to Brazil. It was there, in a Rio de Janeiro hotel, that Maass met her along with Green­wald, where they were work­ing with MacAskill and another Guardian jour­nal­ist, James Ball. . . .
“Exclu­sive: For­mer Wik­iLeaks Employee James Ball Describes Work­ing With Julian Assange” by James Ball; The Daily Beast; 5/30/2013. . . . . For me, the film was more like déjà vu—something I’d lived once already. From sum­mer 2010, Wik­iLeaks became my life for months. First, at the U.K.-based Bureau of Inves­tiga­tive Jour­nal­ism, I was part of the team work­ing for 10 weeks inves­ti­gat­ing the Iraq War Logs for Al Jazeera Eng­lish and Ara­bic, Chan­nel 4’s flag­ship Dis­patches doc­u­men­tary, and iraqwarlogs.com. I then went a step fur­ther, work­ing directly for Wik­iLeaks for sev­eral months on the embassy cables—analyzing the cables, dis­trib­ut­ing them to staff, writ­ing press releases, appear­ing on TV, and more. . . . . Dis­turbingly, Assange seems to have a per­sonal moti­va­tion for stay­ing friendly with Shamir. Shamir’s son, Johannes Wahlstrom, is appar­ently being called as one of Assange’s defense wit­nesses in his Swedish trial. That’s not the only time self has come before principle. . . .
5. In FTR #724, we looked at the Santikitenan Park Association (also known as “The Family”), an intelligence-connected, fascist mind-control cult to which Julian Assange may well have belonged. A TIME review of the recent movie about WikiLeaks–“The Fifth Estate”–reinforces that working hypothesis. It is not clear what the writer’s source is for that assertion. Photos of Assange, children of the cult are at right. Note the one child bearing striking resemblance to Assange. 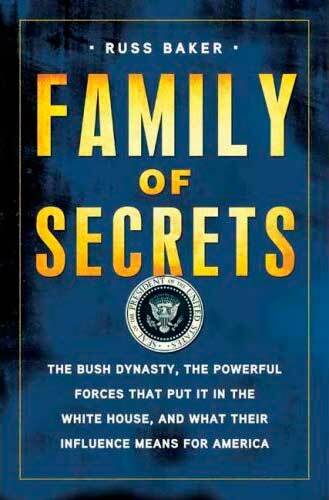 For more about the Assange/Family working hypothesis, see FTR #745. “Julian Assange and The Fifth Estate: Wiki Wacky Who?” By Richard Corliss; Time; 9/08/2013. . . . . Tall, drawling and white-maned (he has dyed his hair ever since being inducted into an Australian cult as a child), Assange radiates a star quality that impresses all spectators, especially himself. . . .
6. We note that, according to Snowden, BND has access to the NSA’s XKeyscore database. “Snowden Asks ‘How Reasonable’ It Is to Assume only Merkel Was Tapped?”; Deutsche Welle; 1/27/2014. . . . . The relationship between the NSA and its German equivalent the BND was described by Snowden as “intimate.” He alluded, among other things, to the BND’s ability to access the NSA’s “X Key Score” database, which Snowden described as a “one-stop-shop for access to the NSA’s information.” . . . .
7a. In an interview with German TV, Snowden mentioned that NSA engages in industrial espionage against, among other companies, Siemens. (Siemens is inextricably linked with German intelligence.) Note that industrial espionage is standard operating procedure for the world’s major intelligence services. Note, also, that Snowden’s statement keeps industrial espionage on the front burner. We wondered in FTR #769 if U.S. internet companies were being held hostage to Germany’s inclusion in the Five Eyes spying network. “Snow­den Says NSA Engages in Indus­trial Espi­onage: TV” by Erik Kirschbaum; Reuters ;1/26/2014. The U.S. National Secu­rity Agency is involved in indus­trial espi­onage and will grab any intel­li­gence it can get its hands on regard­less of its value to national secu­rity, for­mer NSA con­trac­tor Edward Snow­den told a Ger­man TV network. In text released ahead of a lengthy inter­view to be broad­cast on Sun­day, ARD TV quoted Snow­den say­ing the NSA does not limit its espi­onage to issues of national secu­rity and he cited Ger­man engi­neer­ing firm, Siemens as one tar­get. “If there’s infor­ma­tion at Siemens that’s ben­e­fi­cial to U.S. national inter­ests — even if it doesn’t have any­thing to do with national secu­rity — then they’ll take that infor­ma­tion nev­er­the­less,” Snow­den said, accord­ing to ARD, which recorded the inter­view in Rus­sia where he has claimed asylum. Snow­den also told the Ger­man pub­lic broad­cast­ing net­work he no longer has pos­ses­sion of any doc­u­ments or infor­ma­tion on NSA activ­i­ties and has turned every­thing he had over to select journalists. . . . .
7b. Siemens’ control systems were a target of the Stuxnet worm. Note that this article supplements the discussion in FTR #769 about Snowden’s “op”as an assault on U.S. internet companies. “The Great Escape: How the NSA Is Dri­ving Com­pa­nies out of U.S. Clouds” by Ser­dar Yeg­u­lalp; InfoWorld; 1/27/2014. It’s pos­si­ble Siemens did con­sti­tute a legit­i­mate intelligence-gathering tar­get in the NSA’s eyes — espe­cially after many of its cus­tomers were hit with the Stuxnet worm, which seemed specif­i­cally designed (by whom, is another story) to tar­get Siemens’s indus­trial automa­tion soft­ware. (Siemens did not respond imme­di­ately to a request for comment.) . . . .
7c. Snowden attacked the Five Eyes alliance in his German TV interview. He also said that he had given his documents to journalists and had retained none of them. This, supposedly, because he fears for his life. “Snow­den in Ger­man TV Inter­view Said He Believes the U.S. Gov­ern­ment Wants Him Dead” by George Chidi; Raw Story; 1/26/2014. . . . . Snow­den made note of his objec­tions to the Five Eyes alliance between the intel­li­gence ser­vices of English-speaking coun­tries, which he said sub­verts the pro­hi­bi­tion against domes­tic spy­ing by exchang­ing sur­veil­lance data, with Britain spy­ing on Amer­i­cans and Amer­ica spy­ing on the British. . . .
. . . . . adding dur­ing the inter­view that he no longer has any of the doc­u­ments, which have been parceled out to “trust­wor­thy” jour­nal­ists around the world. Their pos­ses­sion of the Snow­den files are the “life insur­ance” keep­ing him from being killed, he said. . . .
WikiLeaks just tore a huge hole in the narrative surrounding Edward Snowden. Up to this point, Snowden and his closest supporters have contended that the 30-year-old American left Hong Kong for Moscow with the intention of flying to Latin America. “I was traveling with him on our way to Latin America when the United States revoked his passport, stranding him in Russia,” said Sarah Harrison, the WikiLeaks adviser who met Snowden in Hong Kong and accompanied him to Moscow on June 23. There had already been issues with this assertion, primarily that the U.S. revoked Snowden’s passport on June 22, and the unsigned Ecuadorian travel document acquired for Snowden by WikiLeaks founder Julian Assange — ostensibly for safe passage to Latin America — was void when Snowden landed in Moscow. Consequently, he had no valid travel documents when he landed. And now WikiLeaks, in response to Germany’s refusal to host Snowden for a surveillance hearing, seems to have acknowledged that the story was never true. WikiLeaks then told Business Insider that the Ecuadorian document was meant to help Snowden leave Hong Kong, even though Snowden’s camp says that his passport was still good when he left Hong Kong. WikiLeaks has not explained why it believes Russia was the only place in the world that Snowden could go, but it’s noteworthy that WikiLeaks and the Kremlin share a bizarre alliance. Since this isn’t the first time Julian Assange has publicly asserted that Wikileaks was advising Snowden to stay in Russia, you have to wonder why Assange keeps floating these little gems.